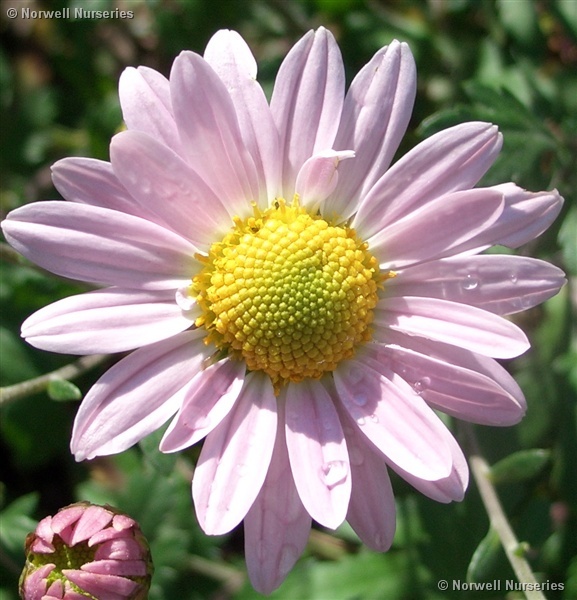 Chrysanthemum 'Innocence' (A rubellum variety). A profusion of pale misty pink flowers. Oct-Nov. The first one we grew 20 years ago and has always done well - virtually indistructable! Came through the winter of 2009 outside, with no protection, with ease.